to connect to your true nature as BLISS. 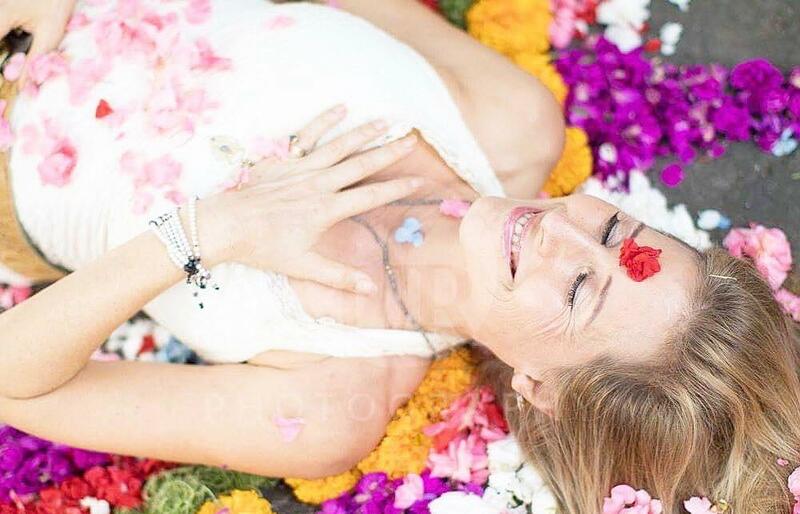 What is the I AM BLISS Breathwork Journey? A Sensuous Breath Journey to Connect with Your Soul. This breathwork journey is perfect to use anytime, especially when you are stuck in your head, overthinking, overworking, or feeling disconnected. Radically expand your consciousness and create the kingdom of heaven in your own heart with this uplifting adventure. A profound, sensational journey of self-realization, inviting your soul to realize itself in oneness with everything. 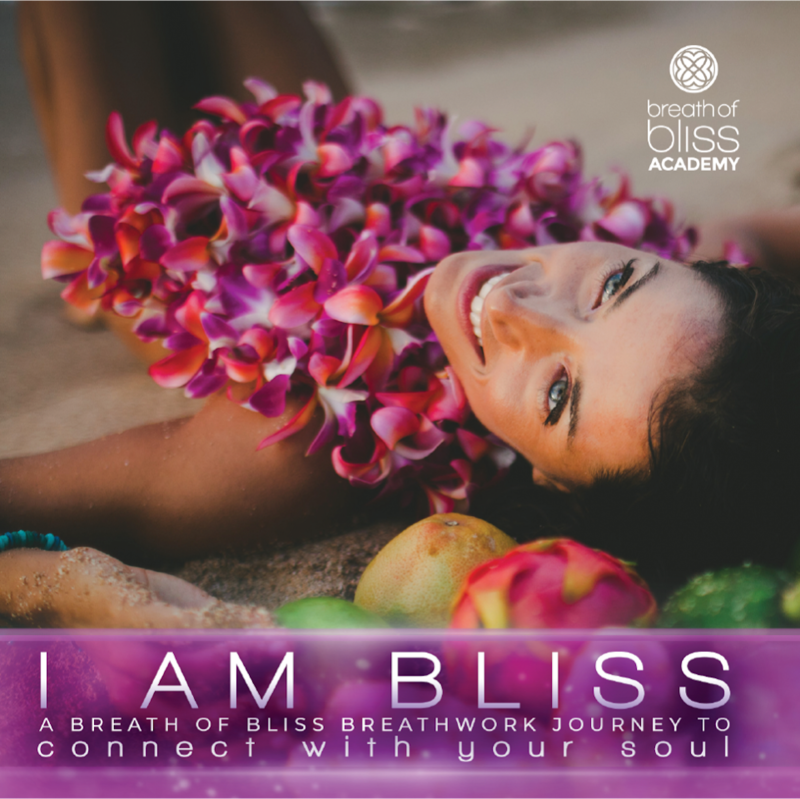 I AM BLISS is the crown jewel of all our breath audio journeys! Let every breath be a prayer as you connect to lifetimes, galaxies and the nature of bliss itself. 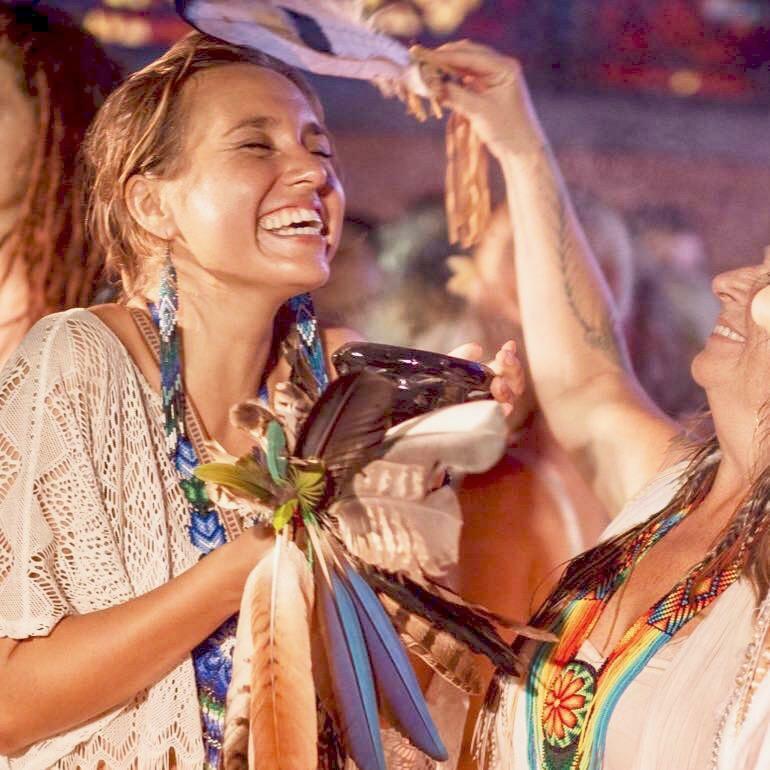 Sweetness and beauty abound in this uplifting, nourishing journey. 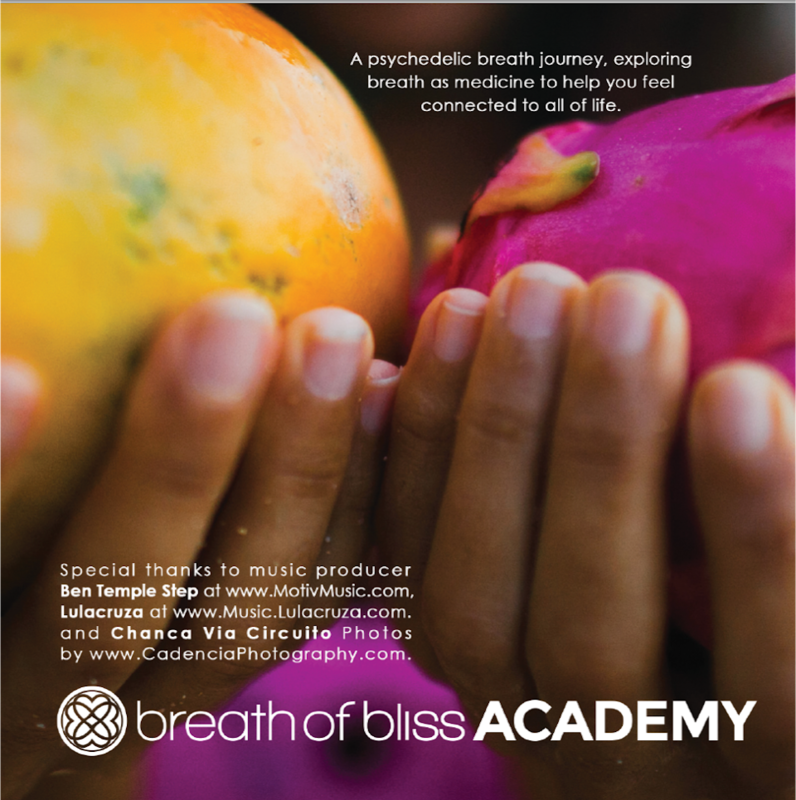 A gentle to moderate pace of sustainable, organic, rhythmic breath with gorgeous music by DJ Raio, rhythmic medicine music by Argentinian artists Lulacruza and Chancha Via Circuito, and Amazonian psychoacoustic electronic dance music by Ben Temple Step, including sound clips from live ceremonies in Peru. Perfect for first timers and experienced breathers. 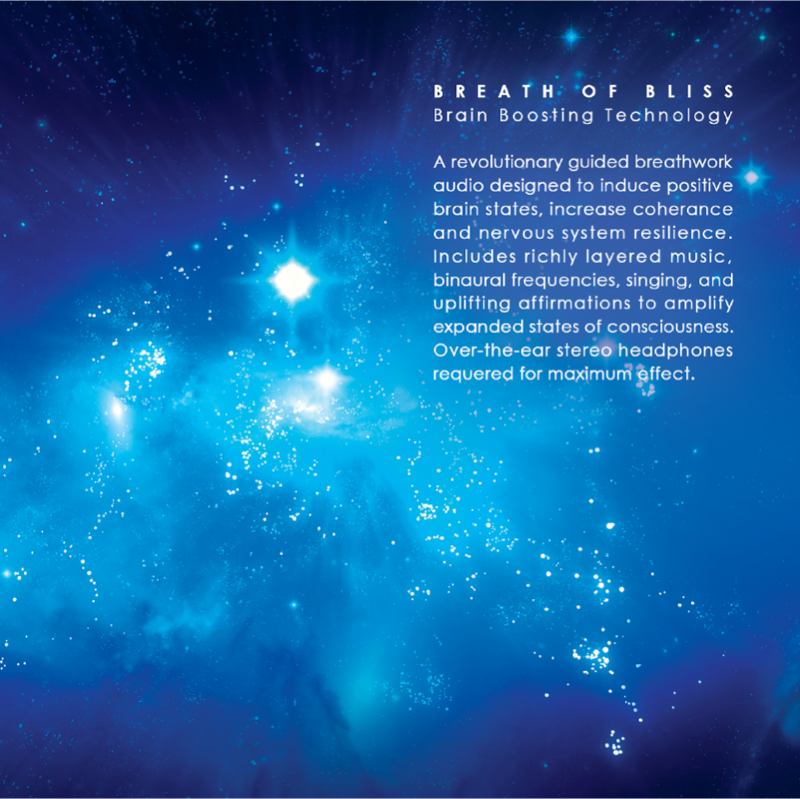 The MOST advanced, revolutionary guided breathwork audio that exists! An experimental psychoactive soundscape. Designed to induce positive brain states, increase coherence and nervous system resilience. Includes interwoven transformational music, binaural frequencies, singing and positive affirmations. Designed to jumpstart creativity, stimulate leading-edge breakthroughs, and increase peak performance. Over the ear, stereo headphones recommended for maximum effect. This magic carpet ride of breath will carry you to enchanted realms and the shimmering realms of Truth. A powerful tool to instantly change your state and re-align to your divine mission. Remember! You're an angel here on Earth to share your love with humanity. "A 1000 years of wisdom." 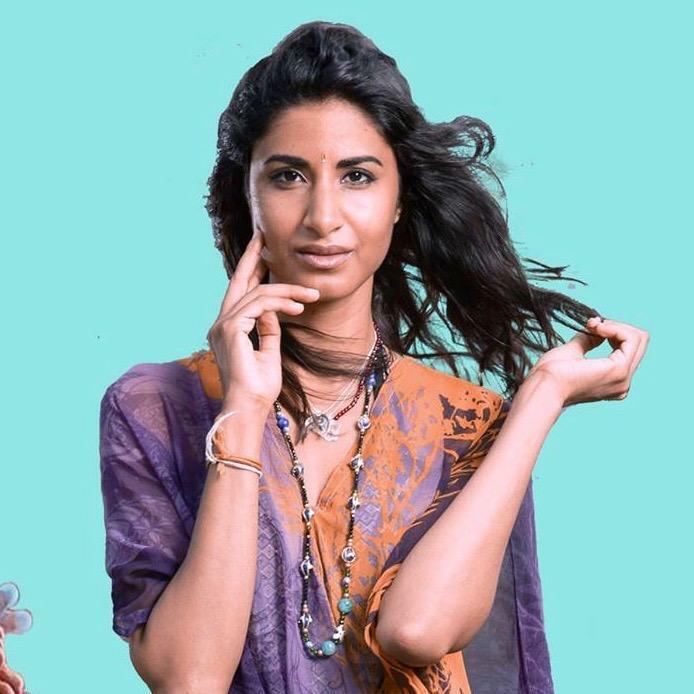 "If Rumi were alive today he may have created this..."
"Christabel has created a masterpiece. This has an incredibly rich tapestry of sounds, music, words, prayers, poetry, guides, angels and spirits of plant medicines. You can use this journey to open and bring healing to your body, release stuck energy and emotions, and rise higher into who you really are. I experienced a deep Soul Retrieval I had been waiting years for, as well as a wonderful expansion of consciousness and clarity. It’s time to truly blossom open to who we really are and why we are here. This journey can help you to do that! If Rumi were alive today he may have created this Breathwork Journey!" 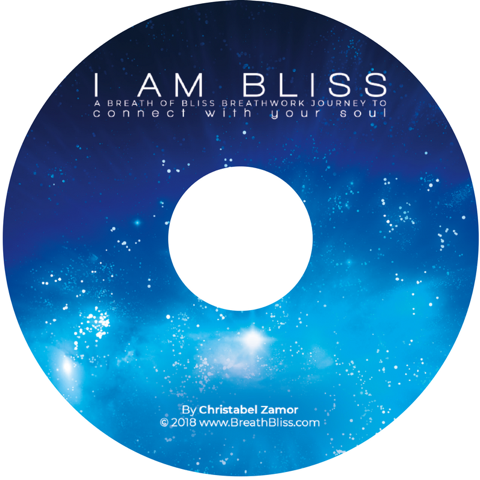 Download I AM BLISS today to begin your journey.